From the highway, take exit 44 - Antibes. After the toll station, follow the road to your right (direction Sophia-Antipolis). At the SophiaTech round-about, take the second exit "Campus SophiaTech". 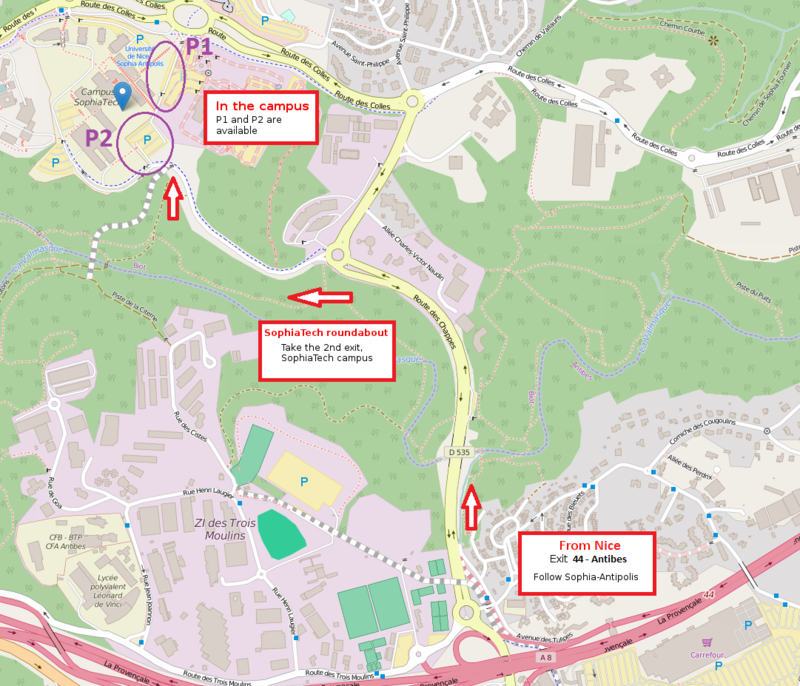 You will then reach the campus car parks. You can park your car at the parks P1 and P2. From Nice, take line 230. The fare of this line is identical to other fares of Lignes d'Azur. 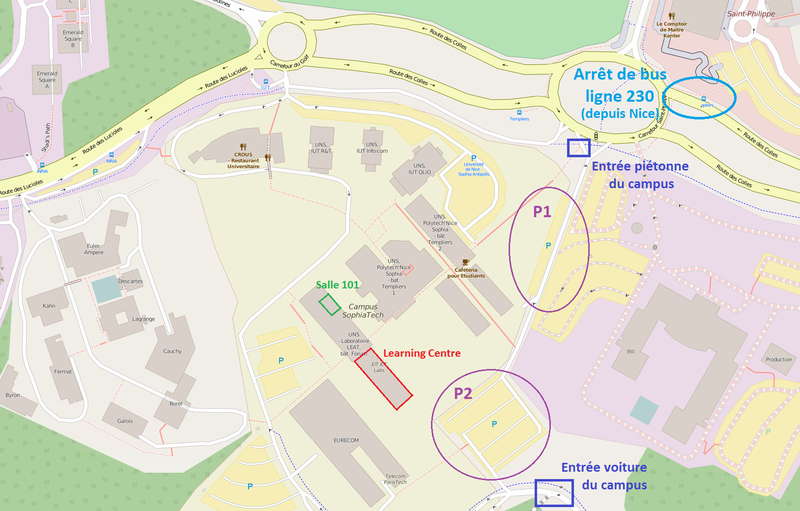 Once at Sophia-Antipolis, get off the bus at the Templiers bus stop. You will then have to cross the round-about to get into the campus. 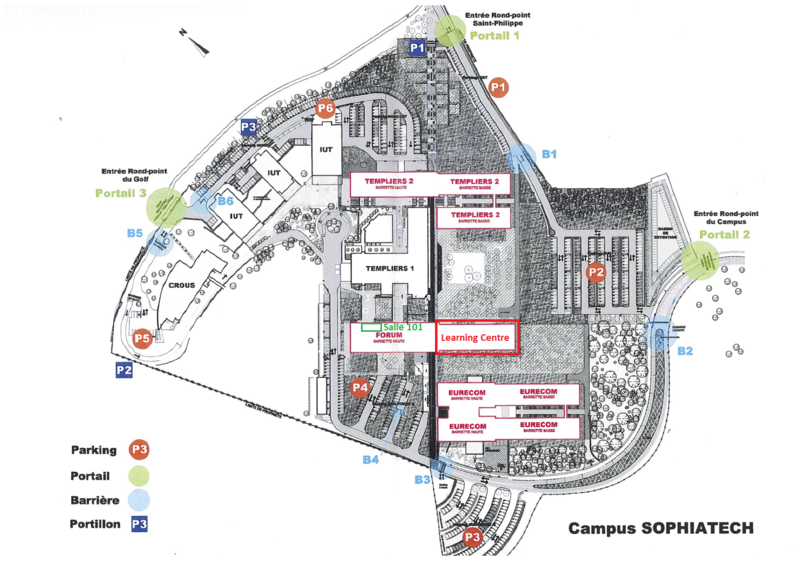 Access to the Forum building is well indicated inside the campus campus SophiaTech. Room 101 is located near the reception desk of the Forum building.